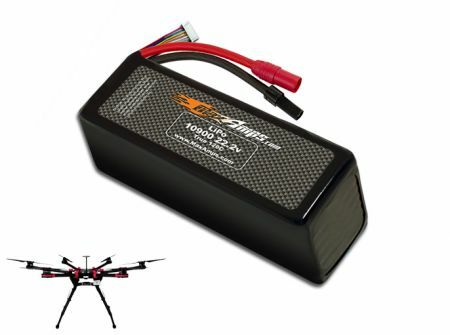 This is a high-performance LiPo battery pack for the DJI S900 Hexacopter. Reliability is a pilot's friend which is what you get when you fly MaxAmps! I bought two batteries of 10.900 for my S800 EVO and I am satisfied by results. Perfect for s800 with heavy payload. Robust construction and excellent performance makes this the battery of choice for Cam/Gimbal + Retract Landing Gear heavy lift setup. Happy customer! !